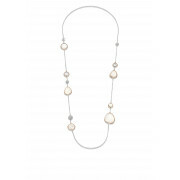 Add some glitz and glam to your jewellery box with this elegant long necklace. With 11 different shapes in a variety of sizes and colours you will never get board of looking at this piece. 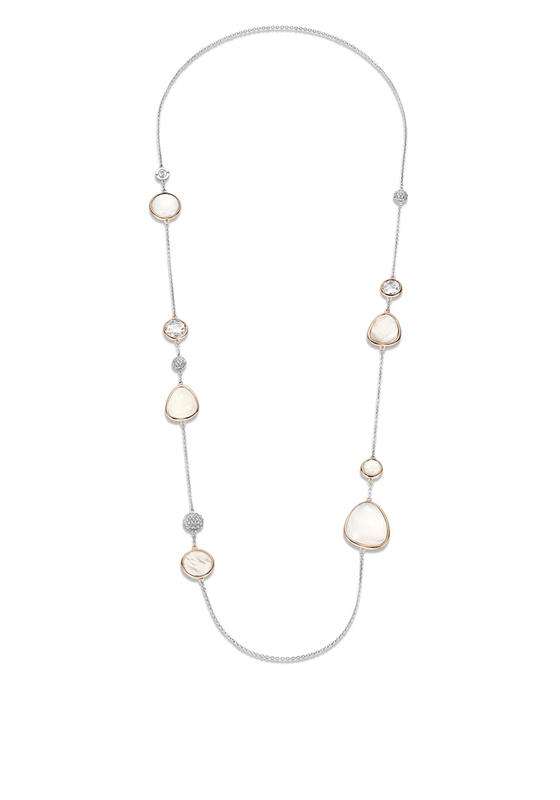 From pearl coloured circles to crystal embellished studs this necklace has it all.